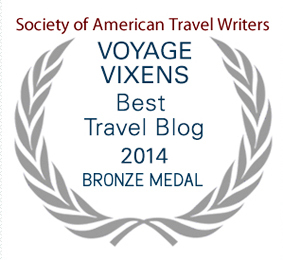 We are thrilled to announce that at the Society of American Travel Writers (SATW) annual conference this week in Iceland, VoyageVixens.com won a Bronze Lowell Thomas Award in the Best Travel Blog category. It is truly an honor to be included among such talented writers and prestigious publications. Happy 30th Anniversary to SATW and the SATW Foundation, and thank you to the judging panel from the University of North Carolina Chapel Hill School of Journalism and Mass Communications. What better a time than now to say thanks, most importantly, to each and every one of YOU who follow along on our journeys, who read our rants, who care about out reviews, who know that we share our journeys with you (the good, the bad, and the straight up f-ugly) in hopes that it inspires you to get out there and collect those passport stamps, face those fears, have those take-your-breath-away moments, and let life be the light. Lowell Thomas Travel Journalism awards are named for Lowell Thomas, acclaimed broadcast journalist, prolific author and world explorer during five decades in journalism. This is the 30th annual competition sponsored by the Society of American Travel Writers Foundation. Winners of the awards, the most prestigious in the field of travel journalism, were announced Sept. 16 at the SATW convention, held in Iceland. The competition drew 1,177 entries and was judged by members of the faculty at the University of North Carolina-Chapel Hill School of Journalism and Mass Communication. This year, the SATW Foundation presented 90 awards in 25 categories and nearly $20,000 in prize money to journalists. Since the first competition for work in 1984, the SATW Foundation has presented more than 2,100 awards and $420,000-plus in recognition of outstanding travel journalism. Among other winners, Jill Schensul, senior writer for The Record of northern New Jersey, earned the title of Lowell Thomas Travel Journalist of the Year for a portfolio of her work in the past year. It is the third top title for Schensul, who over the years has won 29 Lowell Thomas awards for herself, and The Record travel section has taken 39 in total. 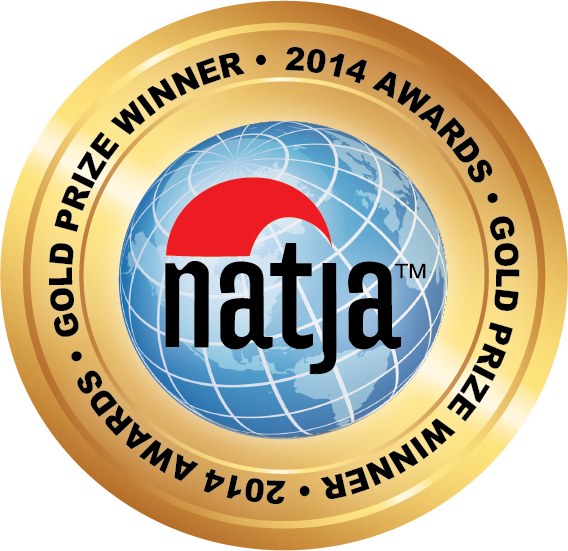 National Geographic Traveler, Islands, Travel + Leisure and AFAR magazines are top media winners in 2014. 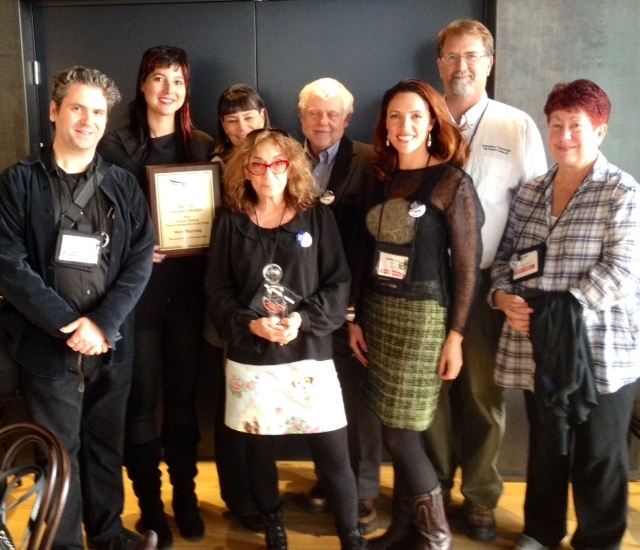 Voyage Vixens’ Lanee Lee with 2014 SATW Lowell Thomas Award winners at the annual conference, this year in Iceland. The Foundation distributes nearly $20,000 annually in prize money to individual winners. Donations by this year’s Underwriter, the Tourist Office for Flanders-Brussels, and many other supporters helped make the prizes possible. Click here for the complete list of the 2014 SATW Lowell Thomas Award winners, or click here to watch the 2014 video of winners (our category is at 3:20).